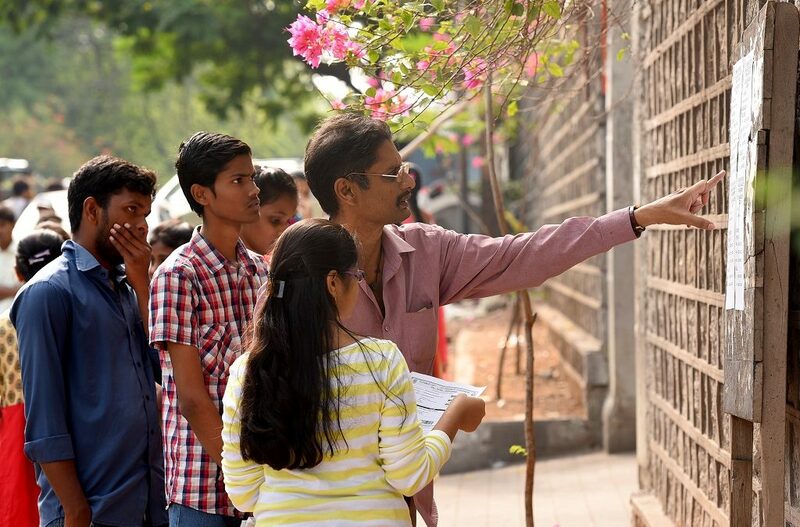 Hyderabad: Engineering education has hit a new low in the State. The apex technical body, All India Council for Technical Education (AICTE), has slashed over 13,000 seats in private engineering colleges across the State. This means that these seats will not be available for admissions for the academic year 2017-18. This apart, 27 private engineering colleges do not have permissions for admissions from the AICTE for 2017-18. The total number of colleges has thus come down from 277 in the academic year 2016-17 to 250 in 2017-18. Engineering college managements are feeling the heat as it is not viable for them to run their institutions with single or double digit admissions every year. As per statistics available with the Commissionerate of Technical Education, there has been a gradual fall in the number of colleges and seats in the engineering course every year. While there were 311 private engineering colleges in academic year 2015-16, it came down to 277 in 2016-17. The scenario is no different for the number of engineering seats. Over 53,000 seats have been cut down in the State over the last three years. The situation of the Pharmacy course is no different, with a similar cut down on the number of colleges and seats from the last three years. While 155 private pharmacy colleges were available in 2015-16, it came down to 144 in 2016-17 and further down to 137 in 2017-18. More than 5,800 seats have been reduced since 2015-16. The number of seats in both engineering and pharmacy courses in private colleges could further come down as the Jawaharlal Nehru Technological University-Hyderabad is still processing the affiliations. So far, the University has cleared affiliation for about 55,000 seats and has sent deficiency reports to colleges for rectification. Some colleges have been issued show cause notices as no academic activity was found by the expert committee which went for surprise inspections. On the hand, 3040 engineering and 180 seats have approvals of AICTE for admissions in university colleges for 2017-18.